From strictly a financial perspective, definition #2 works. But should opportunity costs be only quantified in terms of money lost? Not according to J. Money, who in this recent post on his BudgetsAreSexy blog, discusses the idea of viewing money as, " . . . only a *tool* to get us what we really want in life." Opportunity costs can be assessed not only monetarily, but in terms of "utility" - the toll an activity takes on a person vs. what they gain from choosing that activity over another. Sooooo, what does this have to do with my Week 1 lineup??? As our views of happiness and accomplishment and success and value evolve throughout our lives, quantifying in absolute terms the opportunity cost of choosing one option over another is implausible and impractical - and, nearly impossible from an accuracy standpoint. The solution is to think in terms of relativity. At any given time, we only have so many choices or decisions that need to be made. Once we set our own precedence on the direction we want to steer our lives, the amount of choices to be made can be reduced and decision making more efficient, leaving more time for productive thought. This brings us back to Fantasy Football. FF brings with it myriad choices on a daily basis. The sheer number of weekly temptations to participate in the office chitchat is mentally distracting enough, let alone forming an actual coherent argument to support your 1st round pick of Adrian Peterson. If you are more disciplined than I, you can filter out the office talk and efficiently manage your team, but likely at the risk of reducing your enjoyment in participating. Fantasy just becomes another task you need to manage. 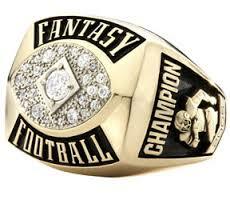 A 2013 Forbes article claims Fantasy Footballers spend an average of 3 hours per week managing their team. Based on my own empirical data, this has got to be a gross understatement, but let's go with it anyway for the sake of being conservative. 17 weeks, plus 1 week for draft = 18 weeks x 3 hours per week = 54 hours! That's over 2 full days!!! Spent on what? What do you gain from that expended time? Immediate gratification (on a good week)? So, what value do you place on Fantasy Football relative to what you hope to accomplish in your life. What could you use those 2.25 days more constructively for? Well . . .
-Listen to 7 or so audio books or read maybe 10-15 real books? -Write 18 or so blog posts? -Side jobs? Mowing 27 large yards? At $25/yard (cheap! I'd hire you! ), that's $675 cash! And those are just the constructive ideas that came to mind within the first 2 minutes of thinking about it. How about the most important of all - additional family time? Those activities can improve your knowledge, your skillset, your finances, your LIFE. I have constantly preached the importance of maximizing the time in your day and to focus as much of your energy as possible on your goal at hand. Focus on production and utilizing your time to compound knowledge, skills, money - or, better yet, to improve yourself as a person. What do you hope your actions will result in? Ask that question of yourself before deciding to partake in an activity. By having a clear and specific goal in mind, you can easily make the choice that will benefit you in the long term as opposed to the instant gratification of boneless wings and first round draft picks!